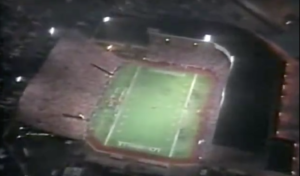 One of the most anticipated games in the history of Fairgrounds Stadium had to be the University of Louisville football showdown against the University of Tennessee on Sept. 5, 1991. Big time football had arrived. 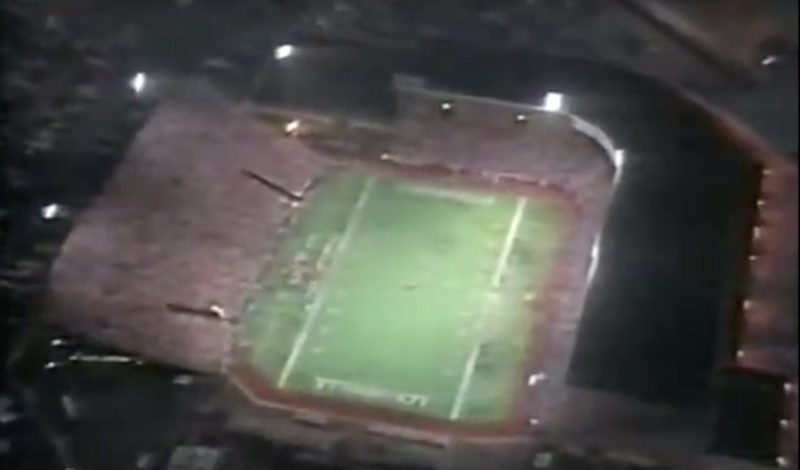 Every square inch of the old baseball stadium was packed for UofL’s game against Tennessee that night. Coach Howard Schnellenberger had convinced the Volunteers, a national power at the time, to play in a revamped baseball stadium. The community was hyped, with such Louisville legends as Johnny Unitas, Pee Wee Reece, Lenny Lyles, Darrell Griffith and Paul Hornung being introduced before the game. The next guest was none other than Muhammed Ali, the former heavyweight champion of the world. Ali would arrive in a limousine and shadowbox with the chubby Cardinal Bird at the 50-yard line. To the chants of “Ali, Ali, Ali” in the jam-packed stadium. Over and over again for several minutes. According to UofL stats guru Kelly Dickey, the official attendance for the game was 40,457 — the largest crowd in the history of the old Cardinal Stadium. Big time football, indeed. Just a few months earlier, on Jan. 1, 1991, the Cardinals had scored a milestone win over Alabama — a 34-7 thrashing in the Fiesta Bowl. The week following the Tennessee game, Louisville was scheduled to play Ohio State in Columbus. The outpouring of UofL support provided Schnellenberger with ammunition to push for Louisville to start fundraising for construction of its own football stadium. Which would come to fruition in 1998 with Papa John’s Cardinal Stadium. 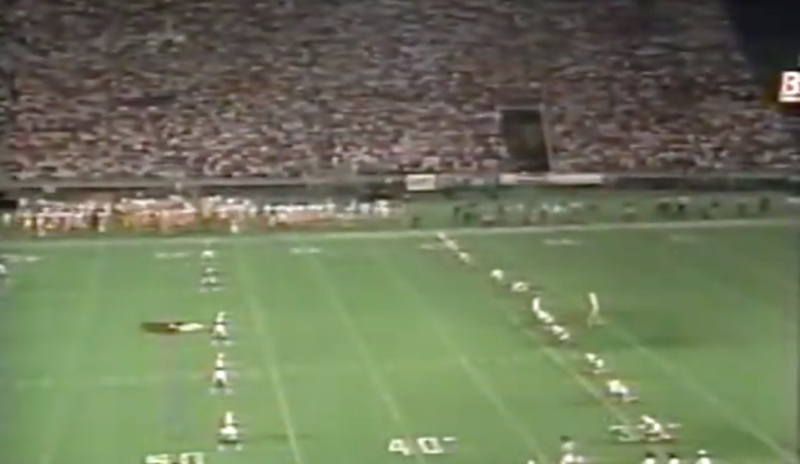 One of the major reasons was that Tennessee required 15,000 seats for its traveling fans. “It wasn’t feasible to contain the visiting fans in one section. We had only about 2,000 seats in the visitors section so all the Tennessee fans had to be interspersed with U of L fans throughout the stadium. Tensions were high at the half because Tennessee only led by a touchdown. UT fans feared Howard Schnellenberger and remembered that U of L thumping of Alabama a few months earlier. Jeff Brohm was quarterbacking in only the second game of his UofL career. The future looked bright for Louisville football. Tennessee broke it open in the third quarter, however, winning the game 28-11. It was a skirmish many fans would not soon forget. UofL fans loved their football, and Fairgrounds Stadium was home sweet home for now.